This week TRB E-Circular 210, Multimobility and Sharing Economy: Shaping the Future Market Through Policy and Research was published. 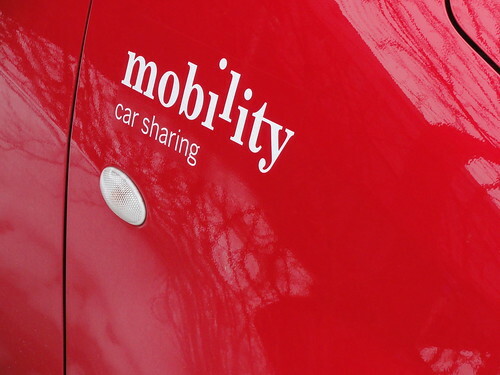 Written by TSRC researchers Susan Shaheen, Adam Stocker, and Abhinav Bhattacharyya, the report covers the results of a wokshop that discussed the intersections of multimodal transportation, the sharing economy, and technology. Multimodal mobility is the use of a combination of different modes to get from one place to another. Multimodal mobility is growing in popularity, especially in urban centers with recurring problems associated with congestion, parking, and an overall lack of space. The shift from homogeneous to multimodal mobility has resulted in some shifts in the transportation sector, including land use and planning. Technology is moving at a tremendous pace, resulting in the evolution of modes like carsharing, carpooling, ridesharing, ridesourcing, bikesharing, and others, as well as improvements in existing public transit options. For riders, this has added a multitude of innovative mobility options, many of which were not available until recently. The sharing economy, which includes both business-to-consumer and peer-to-peer models of sharing of goods and services, has seen tremendous growth in the past decade. Many transportation startups—like Lyft and Uber which allow drivers to source rides to passengers using a platform to make money—leverage the concept of a sharing economy. Companies that are a part of the sharing economy have gained notable momentum in the past 5 years, giving rise to a multitude of service-based startups.